Washington : American India Foundation (AIF) has raised $200,000 for its Maternal and Newborn Survival Initiative (MANSI), designed to reduce maternal and child mortality in rural, impoverished areas of India. Founded in 2001 at the initiative of then US President Bill Clinton, the community organisation engaged in catalysing social and economic change in India, raised the amount at its annual Washington DC gala Friday. The gala featured Mamta Mahato, a 26-year old health worker from Jharkhand, India. She shared that skills training from AIF’s MANSI programme has enabled her to safely deliver over 90 healthy newborns in her village. Over 250 influential guests from US and Indian governments, corporate and entrepreneur leadership, media, and philanthropy of the greater Washington DC area attended the power-packed evening at the historic Congressional Country Club in Bethesda, Maryland. Javed Akhtar, noted film writer, lyricist, and poet, was honoured at the event addressed by Indian Ambassador to the US Arun Kumar Singh. 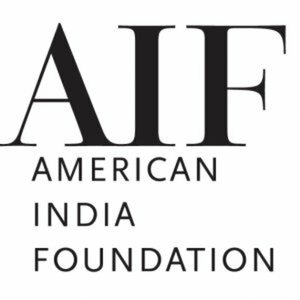 “The American India Foundation is steering relations between the world’s largest democracy and the world’s most powerful democracy,” he said thanking AIF for the great work it has done towards supporting important social causes in India. Singh addressed the current development challenges in India and the solutions being implemented across the country, including initiatives to revitalise the economy through entrepreneurship and start-ups. He highlighted the crucial contribution of AIF’s initiatives in female literacy and empowerment to this national economic effort. “The effort of the government has to be supplemented by what civil society and people like you are able to do,” he said. Teresa Carlson, Vice President of the Global Public Sector at Amazon. Teresa Carlson emphasized the entrepreneurial potential of India. Venkatesh Raghavendra, AIF Senior Director thanked the young leaders of the greater Washington DC area for having taken ownership of the AIF’s cause. The gala also recognized the leadership of Neera Tanden, President of The Centre for American Progress, Kumar Barve, member of the Maryland House of Delegates and Aziz Haniffa, managing editor at India Abroad.